The Department of Sociology offers a B.A. degree in Sociology or Criminology, as well as a combined major, or a minor in either area. Our undergraduate program provides students with broad exposure to traditional and contemporary material in each field and prepares the student for a variety of job opportunities or graduate education. Opportunities to gain “hands on” experience are available, such as working on research supervised by a member of our faculty and through connecting the student to internship opportunities in the greater Miami area. Many of our undergraduate majors are active members of the Sociology honor society, Alpha Kappa Delta; and Pi Gamma Mu, the oldest and preeminent honor society in the Social Sciences. The Sociology and Criminology club offers majors and minors an academic community to share common interests and to engage in related activities. A list of course descriptions and requirements are available through the website’s pages under “Undergraduate Program.” For additional information about the undergraduate program in Sociology or Criminology, contact our Director of Undergraduate Studies, Jan Sokol-Katz, Ph.D. at jsokol@miami.edu. The department also offers a Doctorate of Philosophy (Ph.D.) degree in Sociology. Our Ph.D. graduates pursue a variety of professional opportunities, including academic research and teaching jobs, post-doctorate appointments in government organizations, program director positions for research programs and community-based organizations, and leadership roles within the non-profit sector. 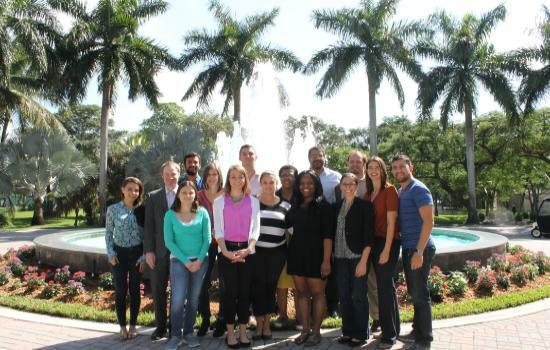 For the prospective graduate student, information about applying to the program, funding opportunities, and program requirements is available through the website’s pages under “Graduate Programs.” For additional information, contact our Chair of the Graduate Program, John W. Murphy, Ph.D. at j.murphy@miami.edu.